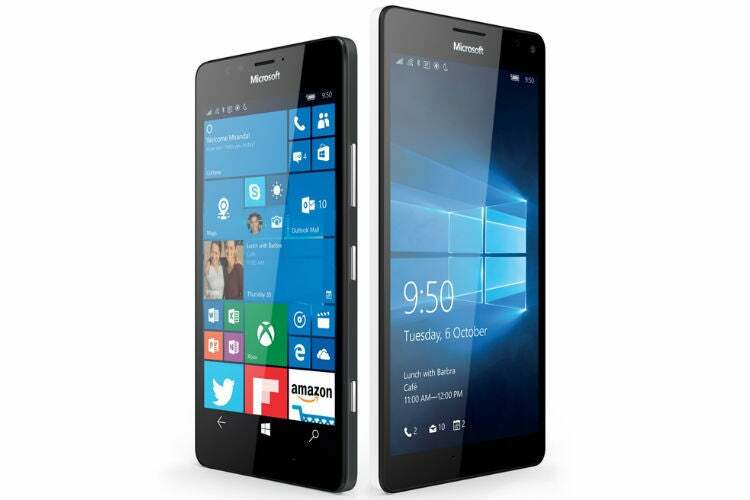 The Lumia 950 is coming to the U.S. in November, but when it lands it looks like it will only be available at AT&T. This isn’t an exclusive deal, but Microsoft has only secured a carrier arrangement with AT&T so far, according to CNET. Whether AT&T ends up with exclusivity through direct negotiation or happenstance it’s still not a good sign for Microsoft. AT&T has been an important partner for Microsoft’s mobile ambitions in the past—and it has rarely gone well. AT&T was the ”premier” carrier for Windows Phone 7 devices when that platform first rolled out in 2010 to a decidedly tepid response. AT&T also held exclusive U.S. launch rights to sell some of the best Windows Phone 8 handsets, like the Lumia 920 and Lumia 1520, and those didn't light the world on fire either despite their slick designs. While you can’t lay the entire blame for Windows Phone’s original flop on one carrier, there’s no denying carrier relationships play an important role in a smartphone platform’s success. The Lumia 950 and 950XL. With the exception of perhaps the iPhone, mobile device makers depend on marketing and sales floor support from the carriers. The carriers are the ones who actually put the phones in front of consumers and try to sell them on the advantages of one phone over another. AT&T has offered the strongest support for Windows Phone so far, and introducing consumers to Windows mobile devices is an inherently difficult task. Microsoft’s live tile approach, for example, is radically different than what smartphone users are accustomed to on Android and iOS. Regardless, AT&T failed at boosting the appeal of Windows-based phones when it had favored status from Microsoft. There’s little reason to think the carrier will suddenly throw even more support behind what might be a de facto exclusive handset. Then again, a slow start to Windows 10 for Mobile may not matter as much as it did for previous Windows platforms. Microsoft recently scaled back its smartphone ambitions and is working hard to put its software and services on Android and iOS. If successful, this gives Microsoft an alternative way to participate in the smartphone market without a strong mobile platform of its own. That’s not to say Microsoft should give up on mobile or that Windows 10 for Mobile is doomed. But single carrier availability for even one of Microsoft’s two Windows 10 debut flagship phones would be a strategic error—no matter how it came about.